I have finished by quest to read a book a day and did a bit better (though more accounting the amount of graphic novels than anything else). I read 412 books this year. Not too shabby! With the end of the semester and some down time, I was hoping to read more traditional books but being hit with the flu and then the cold, made reading a bit harder. However, I still had a good mixture of reads that I enjoyed. So here are some of the best reads this month. Lysiak offers an investigative look at the Sandy Hook mass shooting in December 2012. It's a powerful and intriguing book that balances the facts with the emotion. He introduces the reader to all of the major people involved, sharing their history and they potential. He does nto sugarcoat things but at the same time, he proves respectful in his descriptions. It is a fascinating look at what unfolded and more importantly, a good look at the complexity of the challenges around mass shootings. Hand in hand with the above book is this book which was also born out of the Sandy Hook massacre. 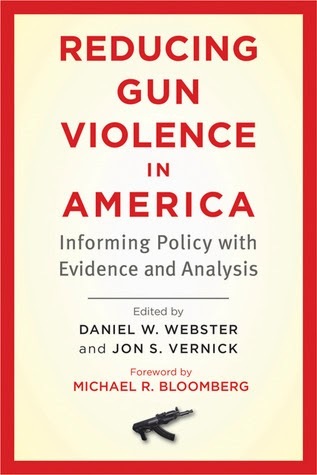 While Lysiak's book puts a face to the events and challenges around mass shootings, Webster's collection of essays by different authors approach the mass shootings from any analytical vantage point, using research and existing evidence around gun violence to determine ways and opportunities of reducing it. It offers many different approaches, none of which are monumental or unachievable and many of which do not necessarily challenge most people's thoughts around legality and appropriate level of response. Mayer-Schönberger offers an interesting look at what the world can look like with the increasing use of big-data t reveal correlations and connections of access. There is certainly much to be concerned about as he points out in using big data to identify correlations over causations, but there is much to gained and it will be a tightly-walked line (if done right). The book helps to better explain what is meant by "big data" and the myriad ways it can be used (or has been used) to improve the world. Ruth's The Lost Boy threw me for a loop. I anticipated it to be just another graphic novel to enjoy but he craftily assembles a story that fits into the tradition of The Neverending Story, Labyrinth, or the Bridge to Terabithia. 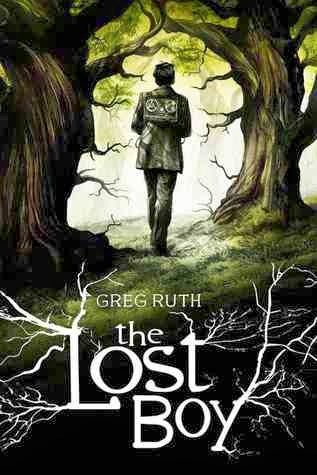 It is a typical fantasy coming-of-age story of a boy who moves into a house where he discovers that another boy has gone missing and gets entangled in finding out what happened to the "lost boy." I found the art and the story just well developed and engaging. I may have to go back and read some of his other stuff. So for a recap of the previous months and what I've read, you can check out the link listing below or check out my Goodreads profile for a listing of all books read this year (and previously). So that my reading challenge for 2013. I've honed in on my challenge for 2014 and will be updated everyone on that shortly. For those that have actually read and kept up to date with my ramblings on my monthly readings-thanks! So what did you read in the last year that you found enjoyable, useful, or inspiring?